This Saturday, May 21, three fighters from the MMA Lab competed at the Rage in the Cage 152. It was a great night for the team as all three guys got first round stoppages and looked fantastic. Kelly Oser, looking for his second win as an amateur, started with a great head kick and ended up finishing the fight with vicious ground and pound inside of one minute. Gritz took a little longer, finishing his opponent at the 2:30 mark with and S-mount armlock that we had been drilling the whole week leading up to the fight. This win raised Gritz’ record to an impressive 7 wins against only 1 defeat. This is going to be a great year for Gritz. Jamie didn’t waste any time as he landed a superman punch within the first two seconds and got a massive power slam KO at the 11 second mark of the very first round. 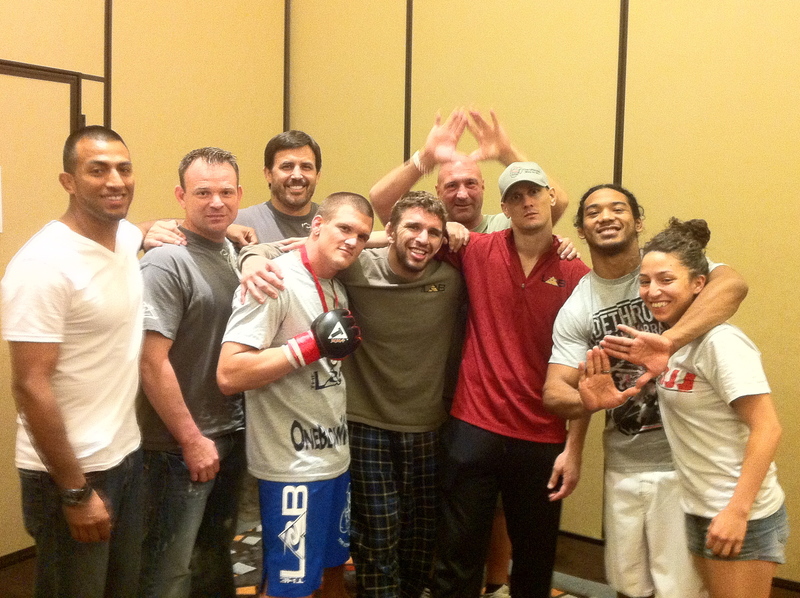 This was Jamie’s first fight in a year and it was an amazing finish to a great night for the MMA Lab Team. We are so fortunate to have a team full of guys that are always ready to support their team mates and help them prepare for any fight; UFC main event or amateur debut. You guys are the best! Thanks to our family at the MMA Lab, without the support and love we receive from our home base we could not do what we do. We hope you like the video, it is a little longer than usual because we had three fighters at the event and so much good stuff to show. Thanks again, hope you enjoy the video! This entry was posted on Sunday, May 22nd, 2011 at 8:55 pm	and posted in News. You can follow any responses to this entry through the RSS 2.0 feed. Congrats to all. You make it look easy!